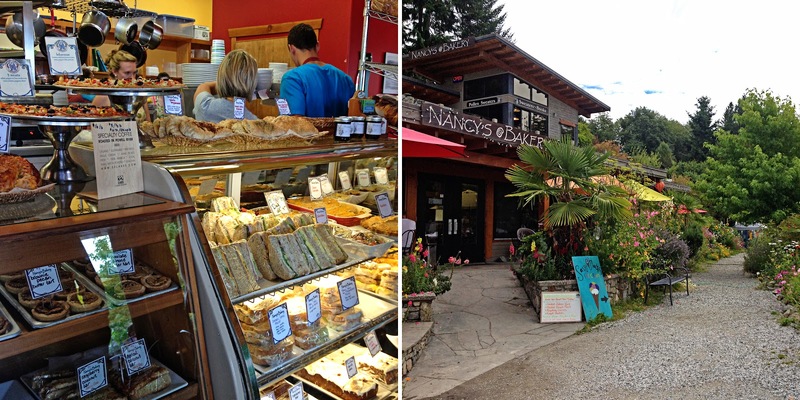 What happened next...: Savary Island - BC's 'Tropical' Paradise! 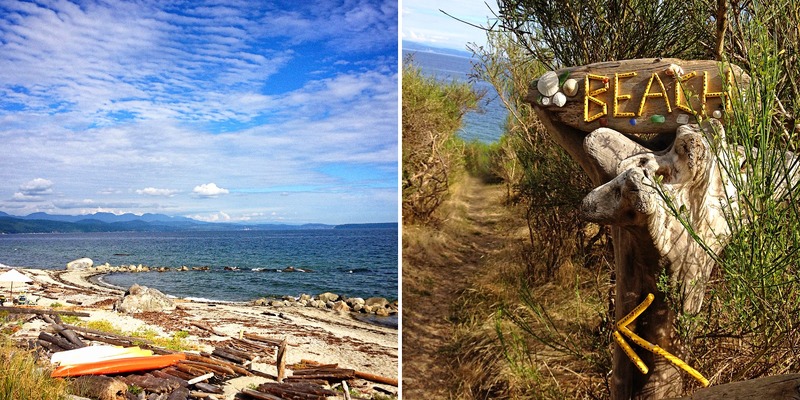 Savary Island - BC's 'Tropical' Paradise! We've lived in BC for nearly 5 years. 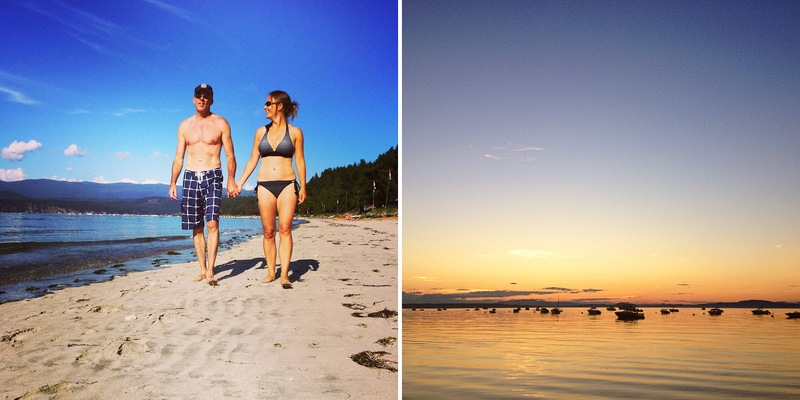 Until a few weeks ago we'd never heard of Savary Island, and we'll be forever thankful to the Powell River taxi driver who told us about this hidden gem! 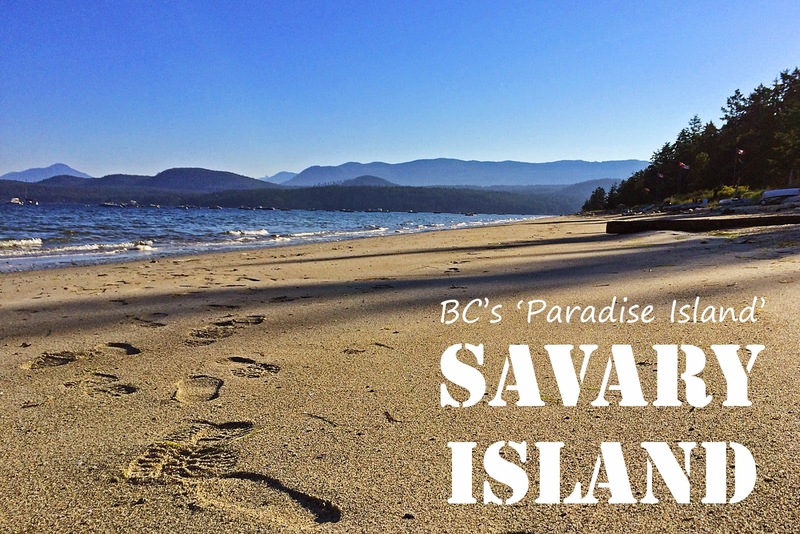 On doing research for our trip I realised there isn't much visitor information out there about Savary Island - I think those that know like to keep it to themselves!! Savary Island is a small island in the Strait of Georgia just off the BC coast near Lund on the Sunshine Coast. It's only 7.5 km long and less than a 1km wide. There are no paved roads, no electricity and no mains water or sewage systems. Once you drive all the way up the Sunshine Coast, the paved road ends in the tiny community of Lund. From there you get the Lund Water Taxi across the water to Savary. The water taxi is $11 per person each way and leaves every hour. You generally need to book ahead since it gets pretty loaded up with people and luggage. It's just a 10-15 trip across the water landing you at Government dock on the north east shore of the island. 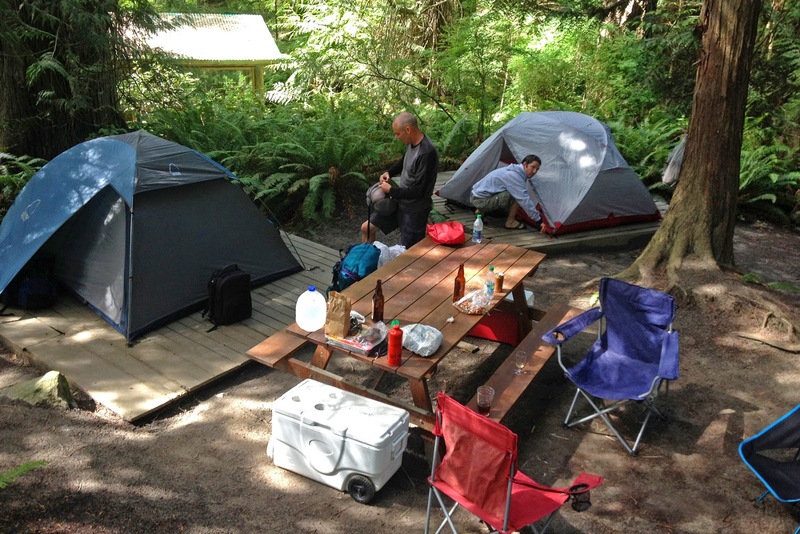 We were staying at the island's only campground. It's very informal, and I'm not even really sure what it's called! We found out some information ahead of time online with it called 'Savary Camping & Cottages' but I think the locals more commonly refer to it as 'Pascal's Campground' (surprise, surprise it's run by a guy called Pascal! 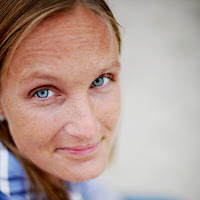 and really, since the information online is sketchy the safest, easiest way to connect is by good old fashioned phone - 604-698-8745) Thankfully it's on the eastern end of the island and a manageable walk from the dock - maybe 10-20 minutes depending on how much luggage you're hauling. Alternatively there are people at the wharf with trucks so you can pay someone for a ride. From the dock turn right and head up the hill. At the junction keep left onto Anderson Road and follow it around to the left until you see the camping. The campsite had around 10 sites all with nice wooden tent pads, picnic tables and lots of shade. There's a very basic outhouse with a flush toilet, dish-washing sink and a cold (really cold!) water shower. It's rustic to say the least! There's also a covered picnic shelter which would be a perfect escape should the weather be bad. The campground is in the middle of the island so it's a 10 minute walk in either direction to get to public beach access. We had gorgeous weather for our weekend stay on Savary but the campground is so heavily shaded by the lush green trees it actually gets quite chilly so bring a sweater if you're hanging around camp! Our second day we spent our time on the north shore beach, near the dock. With the tide out its a huge wide, flat, beautiful white sand beach with shallow waters and you can people watch the comings and goings on the dock! Our second night we ate at Riggers Pub & General Store. A small, simple menu but the beer flowed (at only $6 a pint) and it filled a gap! I was more than impressed that the general store next door were only charging $1 for a small bottled water - totally reasonable when there was easy opportunity to gouge their captive audience! Hat's off to Riggers! (and if you're a patron of the pub they have super lovely clean toilets!!) 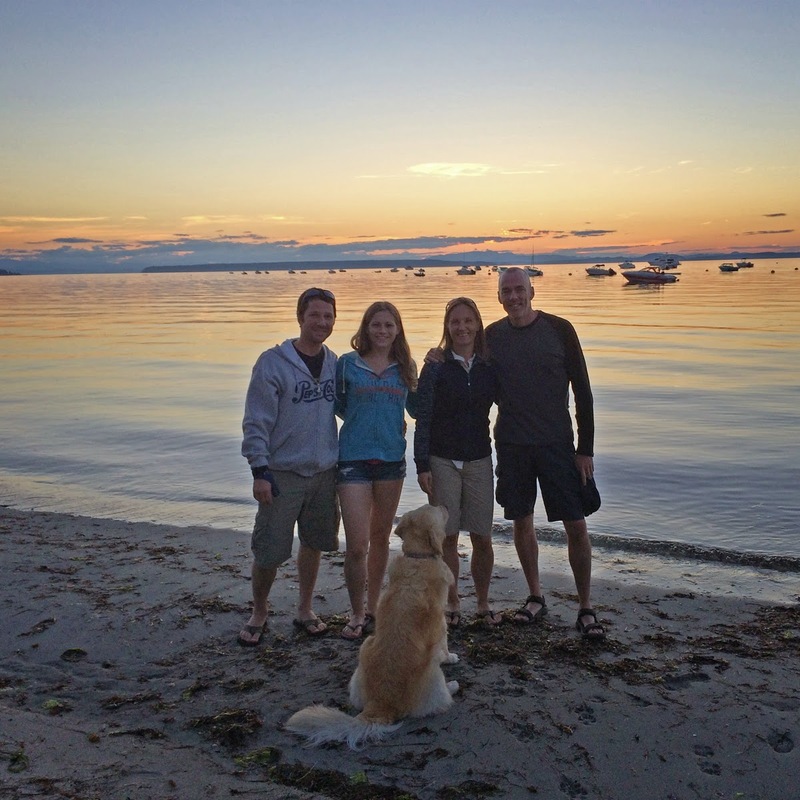 We rounded out our evening by heading back down to the beach for the sunset - just gorgeous! I explored the island a little on the second morning with a 'sight-seeing' run. I ran the full length of the island. The road runs through the middle of the island so in truth there wasn't a lot to see. Savary is heavily wooded with lush, old growth evergreens - it really does have that rain-forest feel to it and it was lovely to run through this 'enchanted' forest! It was fun to glimpse all the little cottages and homes buried away in the woods - some tiny and shack-like, others quite elaborate mansions! There are a few businesses on island - a small bike rental place (near the dock & Riggers on the east end), a few B&Bs, a couple of art galleries and a kayak rental place. If you can spare the luggage space I think taking a bike would be super handy - it's the most popular way of getting around! Also very worthy of a mention is Nancy's Bakery in Lund. It was the perfect place to grab some last minute goodies to take with us and something to look forward to on our return...the most incredible place serving up breakfasts, fresh baked goods, sandwiches, paninis and more. Their speciality blackberry cinnamon buns converted Chris (not a cinnamon bun lover) into an addict! They were amaze-balls! And all served up with a lovely view overlooking Lund harbour. 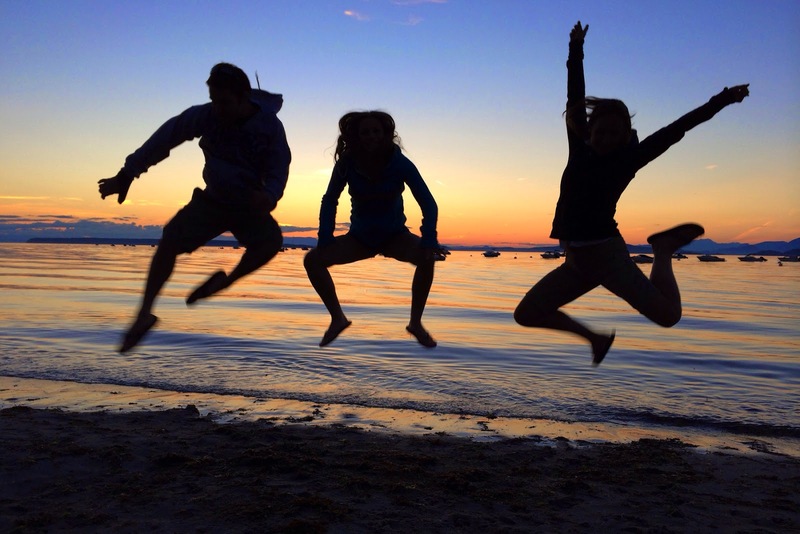 Savary Island, we will be back! Thanks a lot! This is definitely an impressive internet site!